We’ve collected your historical photos, now it’s time to celebrate your neighbourhood with a public display! 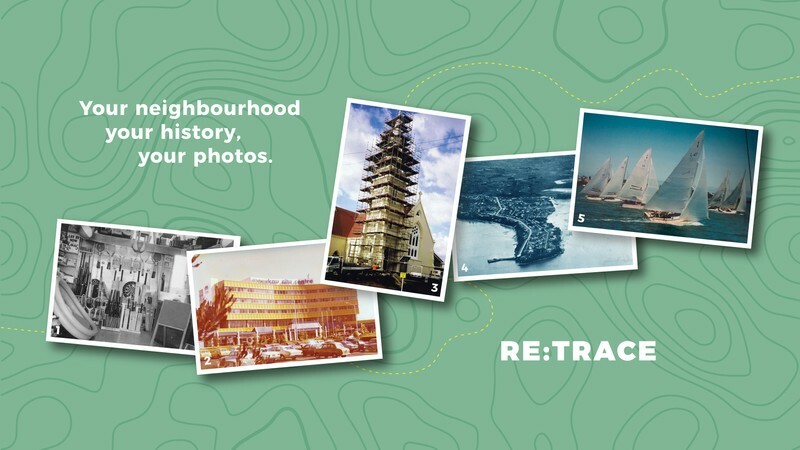 RE:TRACE reflects and celebrates Avondale, Onehunga, Manukau, Takapuna, Northcote and Panmure through historical and contemporary imagery. Historical images were collected through residents, community groups and public archives. These images are displayed alongside a present-day photo essay by a photographer with ties to the neighbourhood. While we celebrate the heritage of Auckland, the contemporary photo essays allow us to stop and reflect on the now. The images presented will become a snapshot of 2018 for future generations to enjoy.